Jesus Christ called His disciples the salt of the earth. 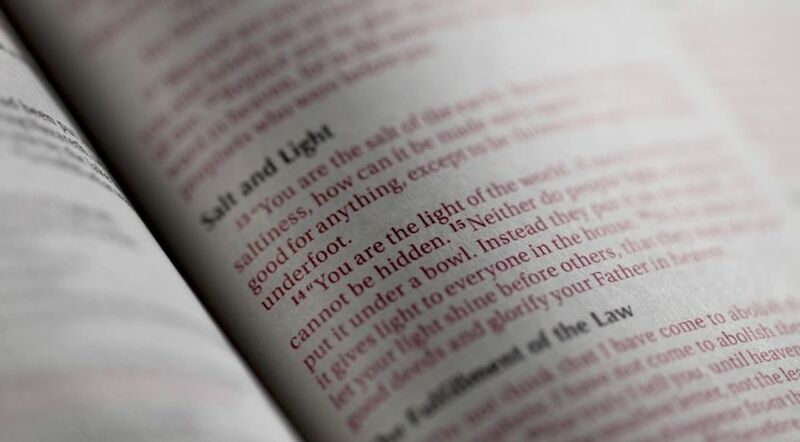 While being compared to salt may not seem to be all that glorious to our modern ears, it’s a comment that still conveys powerful lessons about how God’s people are to live their lives today. We use salt without thinking—saturating French fries, seasoning meat and eggs, bringing out the flavors in various soups and so on. We use salt with such regularity that it’s hard to believe that in the ancient world it was so precious Roman soldiers were paid part of their wages in salt or its equivalent value—a salarium. Yet in the first century, everyone was vitally aware of the importance of salt. In that time, salt was used for preserving meats, for medicinal purposes, for seasoning foods and even as a sign of friendship. Salt was seen as a valuable commodity due to its many uses—and Jesus was well aware of that fact. Jesus started His famous Sermon on the Mount with the Beatitudes—eight characteristics that are essential for a Christian to have and that bring blessings and happiness, but also persecution (for more on the Beatitudes, read “Beatitudes: Keys to Real Happiness”). The final Beatitude says that we will be persecuted for Christ’s sake, but we are to bear that persecution with joy. After saying this, Jesus declared, “You are the salt of the earth; but if the salt loses its flavor, how shall it be seasoned? It is then good for nothing but to be thrown out and trampled underfoot by men” (Matthew 5:13). Salt has some important characteristics—characteristics that Jesus said are essential for a Christian at any time, and especially when enduring persecution. What is the meaning of “salt of the earth”? Salt is a preservative. Salt is used to preserve meats, so it represents the quality of lasting endurance. Salt is such a powerful preservative that it is the term God uses to describe His enduring covenant with David and His people (Numbers 18:19; 2 Chronicles 13:5). It is this same endurance that God’s people are to demonstrate (Matthew 24:13). Purity. Based on its color and its ability to preserve foods, salt “came to symbolize purity” (bibletools.org). Salt represents the purity that Christians are to be striving to attain. This purity comes from not being too closely tied to the world (James 1:27), from recognizing that God’s commandments are “pure” (Psalm 19:8) and by living in accordance with those commandments (Revelation 22:14). Salt makes us thirsty. As physical salt makes us thirsty, we should recognize our spiritual hunger and thirst for righteousness (Matthew 5:6). Salt enhances. One of the most common uses of salt in the ancient world and today is to enhance the flavor of foods—to enhance the experience of eating (Job 6:6). Jesus Christ wants our lives to enhance the experiences of others around us in the same way that salt enhances a meal. One of the surest ways to do this is with speech that is “gracious”—filled with truth and kindness (Colossians 4:6, English Standard Version). In the Middle East, salt was sometimes collected by allowing seawater (especially the Dead Sea) to evaporate. After the sun dried up the water, salt was left. God’s people must not lose their purity or cease to add flavor to the lives of others; to stop would be to become useless. Jesus Christ was warning His followers that we must continue to be the salt of the earth, living rightly so that God will preserve us and humanity. In the Olivet Prophecy Jesus stated that the Great Tribulation would be ended before human extinction “for the elect’s sake” (Matthew 24:22). God’s people must not lose their purity or cease to add flavor to the lives of others; to stop would be to become useless (Matthew 5:13; Mark 9:49-50). Persecution shouldn’t change how we react to people. Christ’s declaration that we are the salt of the earth is a reminder that we’re called to live by a higher standard than the world around us accepts, and God’s standard doesn’t change when persecution comes (1 Peter 2:19-20). As the apostle Paul, who was no stranger to persecution himself, said, we should “walk in wisdom toward those who are outside, redeeming the time. Let your speech always be with grace, seasoned with salt, that you may know how you ought to answer each one” (Colossians 4:5-6, emphasis added). Jesus connected salt with peace: “Have salt in yourselves, and have peace with one another” (Mark 9:50). God’s call for us to be the salt of the earth is not a light one. If we respond to this calling, it will affect how we act, think and talk, as well as how we treat other people. Being the salt of the earth demands a high standard of righteousness and purity that can be difficult in a corrupt world. At times, persecution sets in, testing our commitment to His way and the impact we will have on those around us. Yet, no matter the challenges, this high responsibility will have an incredible reward. God the Father and Jesus Christ have called us to be nothing less than the salt of the earth! What Did Jesus Mean by “Judge Not”? Narrow Is the Gate: What Did Jesus Mean?